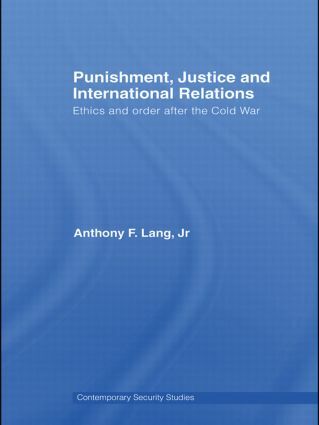 This book examines the international political order in the post-Cold War era, arguing that this order has become progressively more punitive. This is seen as resulting from both a human-rights regime that emphasizes legal norms and the aggressive policies of the United States and its allies in the ‘War on Terror’. While punishment can play a key role in creating justice in a political system, serious flaws in the current global order militate against punishment-enforcing global norms. The book argues for the necessary presence of three key concepts - justice, authority and agency - if punishment is to function effectively, and explores four practices in the current international system: intervention, sanctions, counter- terrorism policy, and war crimes tribunals. It concludes by suggesting ways to revise the current global political structure in order to enable punitive practices to play a more central role in creating a just world order. This book will be of much interest to students of International Law, Political Science and International Relations.